I finally did it. Bought my first CND Shellac gel nail polishes! 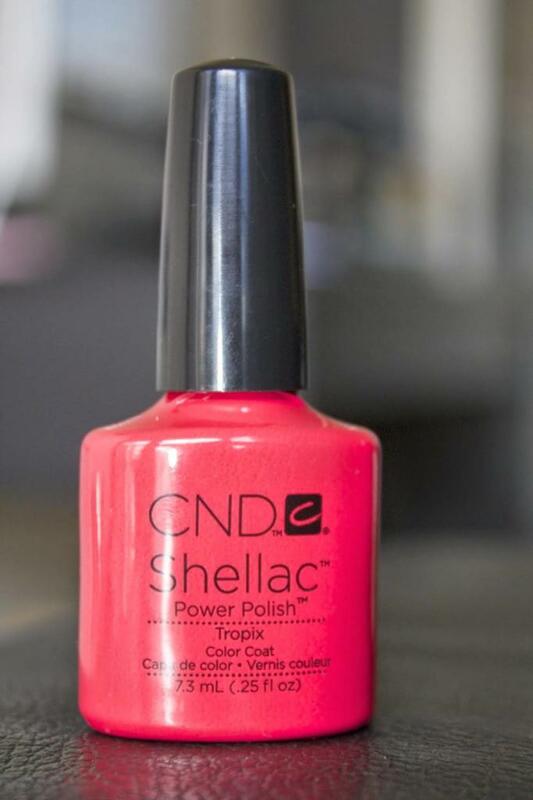 Shellac is an acrylic gel nail polish that is painted straight onto the nail and dries hard like a fake nail. You do need UV lamp in order to dry this. 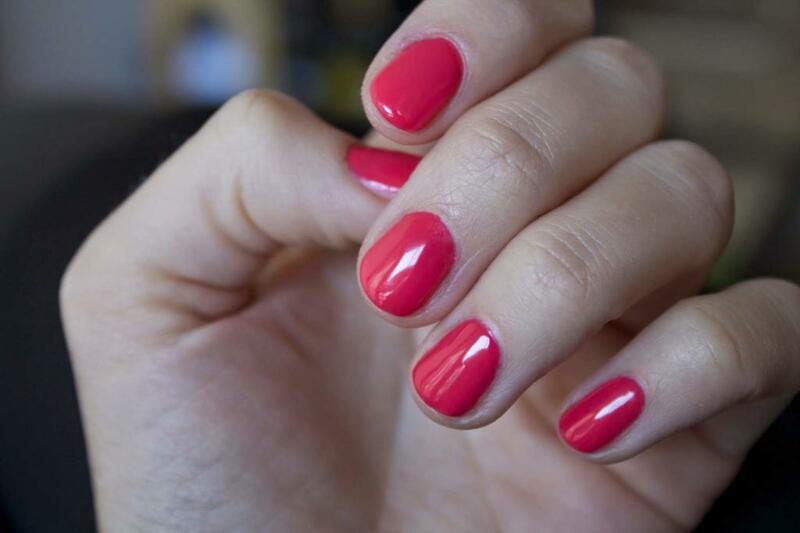 If you do everything correctly and follow all instructions, Shellac Gel Nail Polish should stay not chipped for at least two weeks. When buying this I was choosing between Harmony Gelish and CND Shellac. I liked Harmony Gelish, as they have bigger variety of shades. All colours are vibrant and polish lasts up to 3 weeks (CND Shellac up to 2 weeks). However, I decided to get CND Shellac, as firstly you don’t need to buff your nails before applying, so it won’t harm your own nail that much. Secondly, it is soak off polish, which means, that no need to file this off when decide to take off. 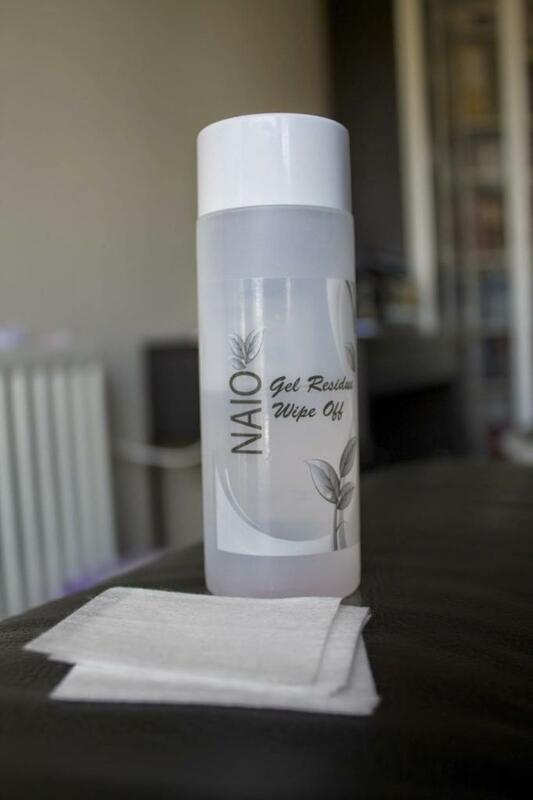 They have special wraps soaked in 100% acetone, that you keep on your nails for 10 minutes and your CND Shellac Gel Polish will come off nicely. 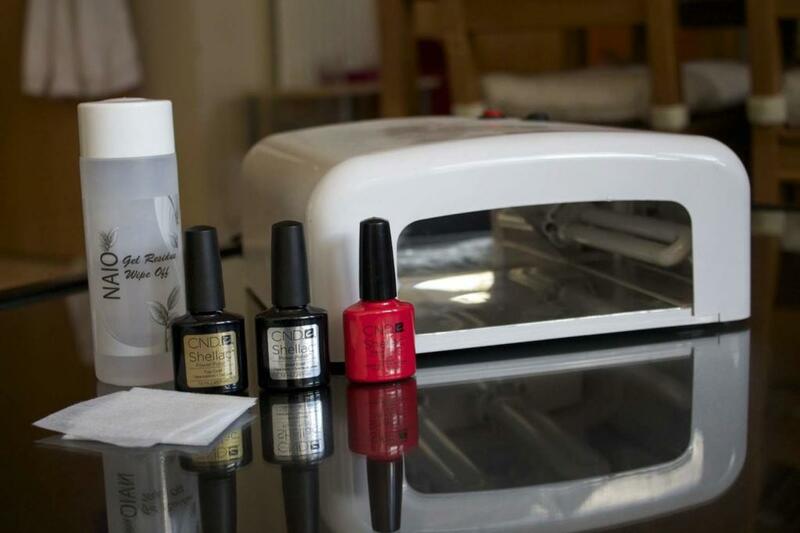 You also have to purchase your CND Shellac UV Base and Top coats, 99% Isopropyl Alcohol and some lint free pads. I bought my CND on Ebay. If decided to buy, beware that there are many fake ‘shellacs’, so make sure you read reviews and description very carefully. I bought from THIS seller. 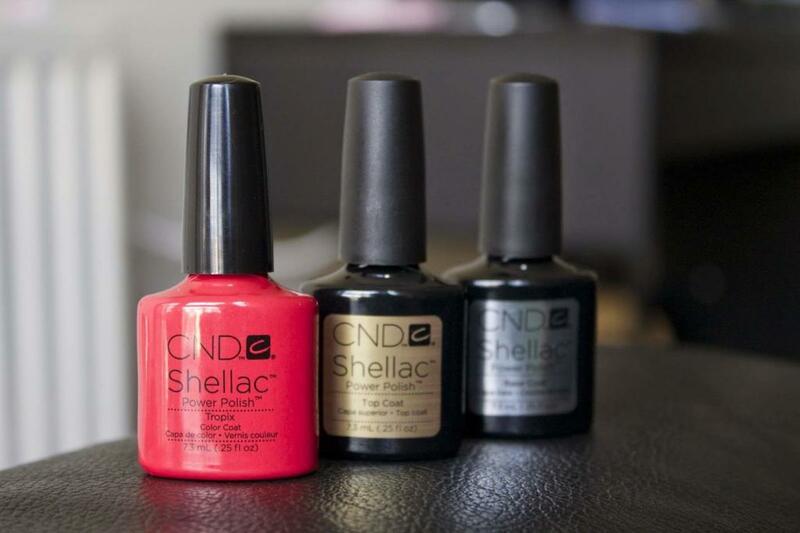 CND Shellac costs about £12.50 for 7.5ml bottle. A bit pricey, but at the end it’s so worth it! 4. 99% Isopropyl Alcohol and some lint free pads. 1. 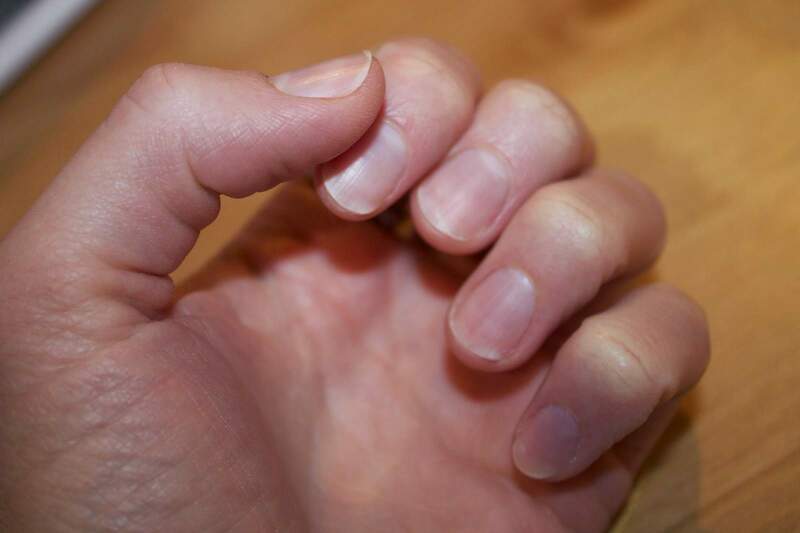 Give yourself a manicure: shape your nails, push back cuticles, clean nail plate and remove excess oils. 2. 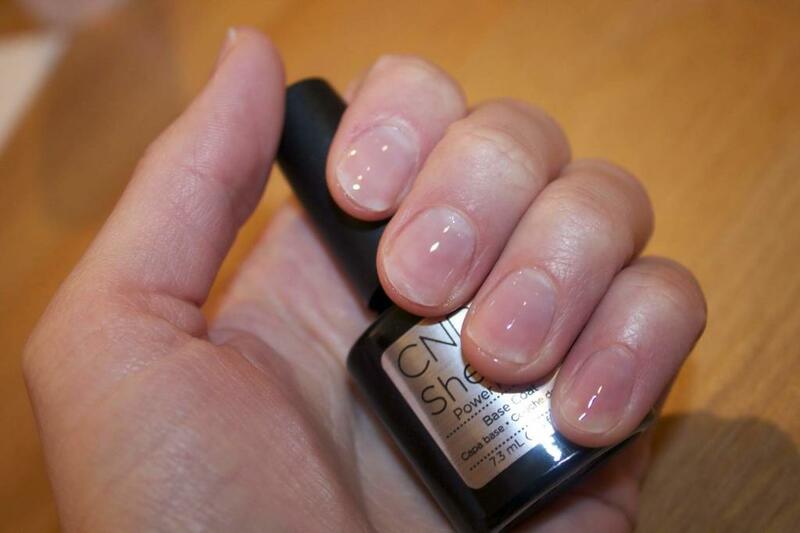 Apply one thin layer of CND Shellac Base Coat – the thinner the better! Cure under a UV lamp for 10 seconds. 3. 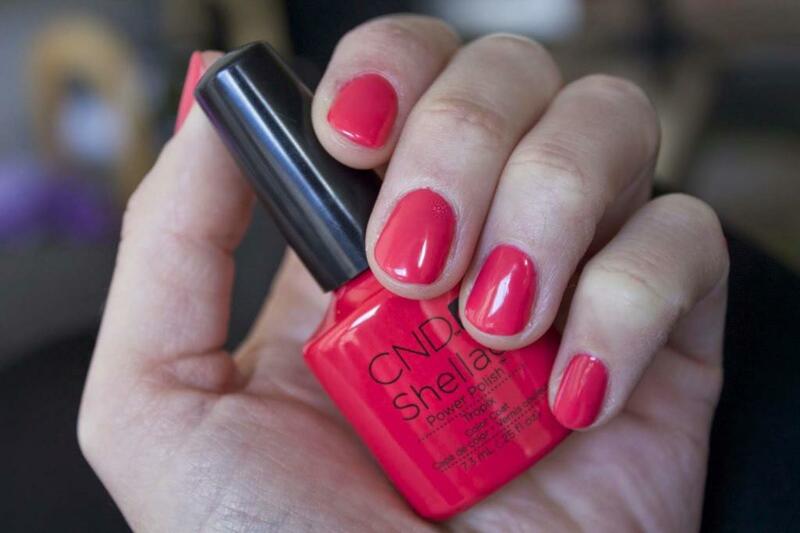 Apply one thin coat of CND Shellac Colour. Cure under UV lamp for 2 minutes. 4. Apply a second coat of CND Shellac Colour. Cure under UV lamp for 2 minutes. 5. 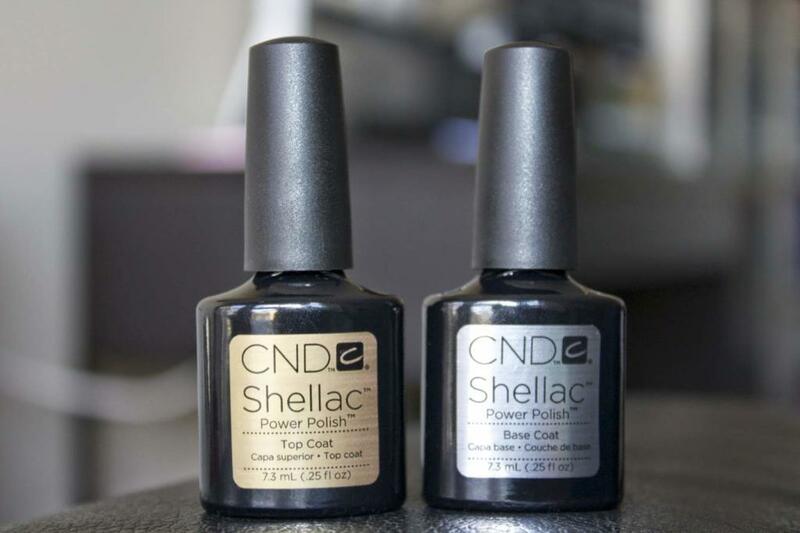 Apply one thin layer of CND Shellac UV Top Coat, this will make your nails look extremely shiny! Cure under UV lamp for 2 minutes. 6. Remove top film with 99% Isopropyl Alcohol. After every application cap the free edge of the nails to make them last even longer.